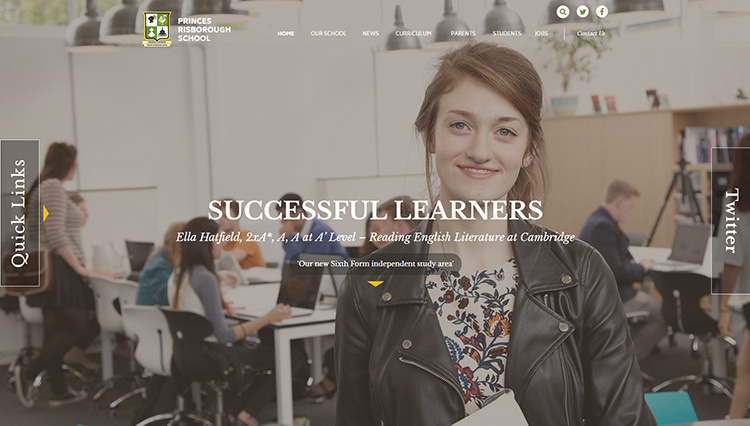 We’ve been working on some really lovely school website designs lately – here’s just a selection. Don’t forget we have a massive portfolio of website designs on our website. We’ve been working with Courthouse Green Primary School in Coventry in 2011. We were so pleased when they asked us to re-design their website, perhaps extending its life for another 6 years! An interesting design feature of the new look is the red colour wash placed over their full screen photos – the school colour is of course red! The home page also features a quotes panel, latest news and diary dates as well as en embedded twitter feed at the bottom. 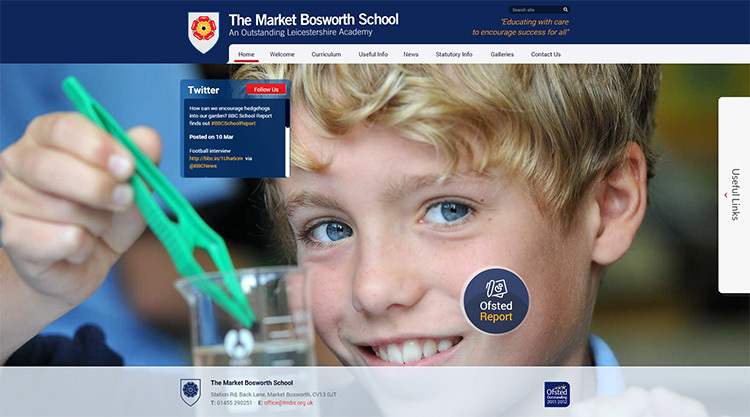 The Market Bosworth School are an Outstanding Academy in Leicester. Their new website benefits from a compact home page featuring full screen photos which has upcoming diary dates and a twitter feed overlaid to the side. There’s a prominent link on the website home page to their Outsanding Ofsted report which the school are justifiably very proud of. To the right is a pop out “Useful Links” panel which provides visitors with quick access wherever they are on the website to things like Newsletters, Letters to Parents and online payments. Thank you so much for all your help and advice. We’re really pleased with the new site and I’m extremely impressed with the level of support given; you’ve provided an excellent standard of service. 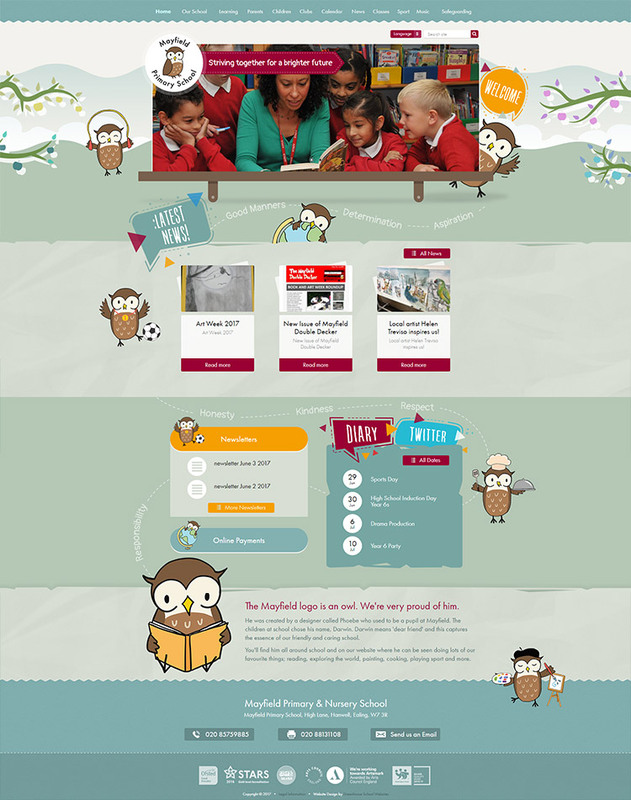 Another redesign this time for Mayfield Primary School in Ealing who we’ve been working with since 2013. 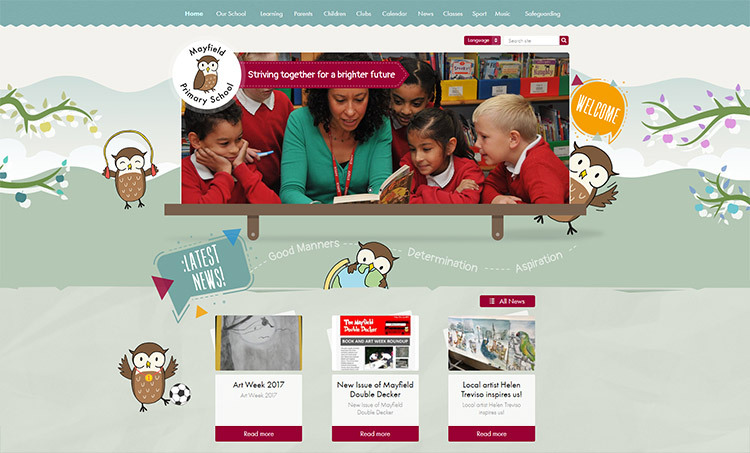 The new website design is illustrative in nature and features the school Owl performing various activities. The Owl was designed by an ex pupil of the school and the children have named him “Darwin”. 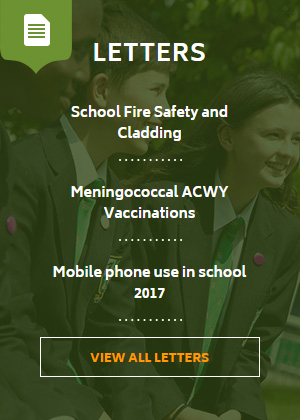 The Mayfield primary website also hides a secret.. If you visit in each season you’ll see that the illustrations in the header are subtly customised to reflect each of the seasons. We are really pleased with the site. You have such a nice clean CMS. We hear really positive things from people about our website all the time and I’m always recommending you to other schools. Here’s the full home page in all its glory, where you can see the events panel, a tabbed dates and twitter feed panel and a feed of their latest newsletters. The new Princes Risborough school website packs in a whole host of features. We’ve been working with them since 2011 so we were able to work closely in tandem together to get everything “just so”. The full screen photo design has changing quotes, a slide out twitter wall and pop our Quick links tab. 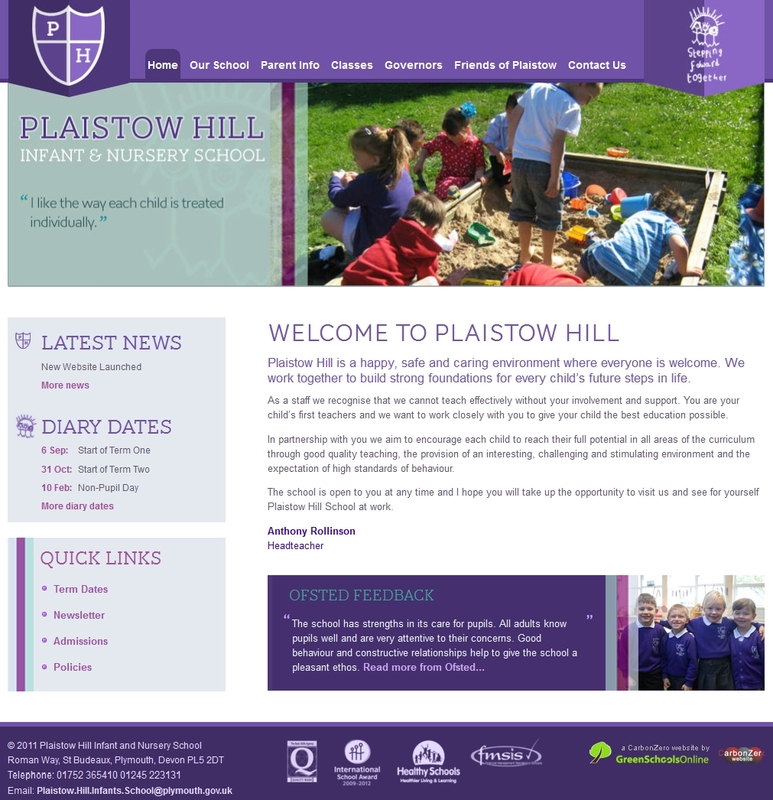 As you scroll down the home page (or click the yellow arrow for some lovely smooth action) there are clear panels with a welcome, testimonials, Ofsted quote and clearly defined areas for news and latest letters home. There are also feature panels for their Sixth Form and Sports Centre.